…any good for the super-pale/super-pink? 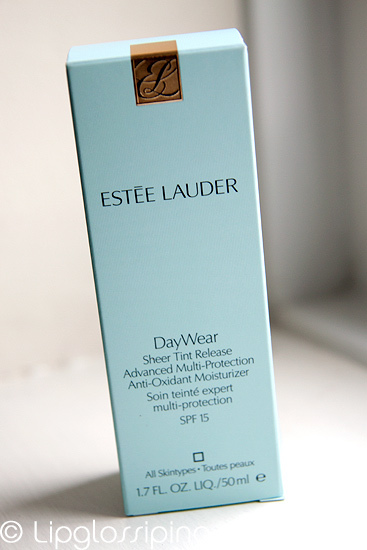 That’s the question I was asking after watching a Pixiwoo video that mentioned this Estee Lauder tinted moisturiser. Available in a ‘one-size-fits-all’ option, I found it hard to believe that it would work on my cool skin-tone without tango-ing me. A tube of this will set you back £32 thanks to a recent price increase but the purse hit is softened if you consider this product to be your foundation, moisturiser, sun protection and anti-ageing solution all-in-one. Plus you get a generous 50ml of product and you only need a v. small amount to get full coverage. That’s all well and good… if it fulfils those multiple criteria. Well does it? Firstly… let me get the fun stuff out of the way. The application. It dispenses from the tube a rather unattractive grey blob with a slightly grainy texture, not rough enough to exfoliate… but not as smooth as a cream. As you rub the product into your skin… the magic happens! The product transforms from this insipid putty grey colour into a warm tan before the texture sinks in completely and you’re left with only the colour remaining. I took some shots of the ‘transformation’ in progress… you need to click the picture below to enlarge it and see the results. As a moisturiser… It’s not *quite* moisturising enough for me at the moment but I think it would be fine for normal/combo skin. In the Summer, it’ll probably work well for me – but for now, I still need to apply a moisturising base before I dot this on top. As an anti-ageing solution… Well, it’s all there on paper. If you’re a fan of Estee Lauder’s original DayWear, this incarnation promises to deliver “all the advanced protection benefits of DayWear“. I haven’t been using this long enough to give any conclusions as an anti-ageing product. As a sunscreen… I usually go for SPF30 as a minimum. I also don’t subscribe to the belief that a moisturiser/foundation with built-in SPF is enough protection for an average day unless I’m only going to be spending a couple of minutes outdoors! So, in a nutshell… no. On the plus side, there’s no Avobenzone in this to conflict with alternative sunscreens you may want to apply. It’s not looking very good though is it? And yet… I love it and will be repurchasing it in preparation for the Summer once this tube runs out. This goes against everything I’ve just said when you consider that I’m essentially going to pay £32 for what I’ve described as a large tube of tinted moisturiser. And as lame as this statement is going to sound, I’m loving it because, well… it’s a really, really, really GOOD tinted moisturiser! In the middle… just a small amount of the Estee Lauder DayWear Sheer Tint warms up my complexion and reduces the redness. I’d be good to go at this stage if I weren’t quite so vanity-driven. I’m a big tinted moisturiser fan and I buy a new one every Summer without fail. I don’t have the most even of skintones, so usually combine with a light buff of mineral foundation to mattify and further cover. Most of all? I love that weightless feeling of those two products combined. 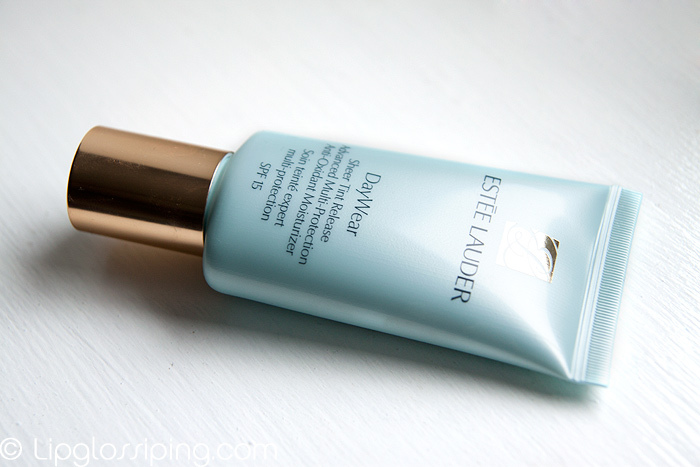 And the Estee Lauder DayWear Sheer Tint Release* is easily the most weightless of any I’ve tried. It really does sink in to nothingness leaving only the tint behind. And how about the glow? 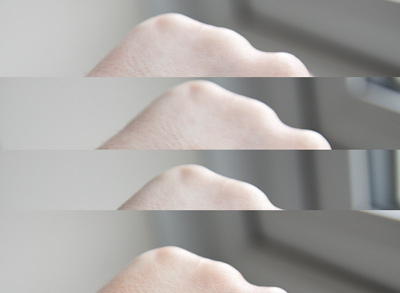 I know that there are many pale ladies who embrace the pale… and if I were milk-bottle porcelain, I would too. But I’m fish-belly pale and look far more polished with the ruddiness toned down. This product does that without the need for faffing about with face tanners. If you are pale, don’t expect to apply this and not see a difference to your skin tone… you will be noticeably warmed up a shade, but it blends well and is a point in favour rather than against for my needs. I’m genuinely torn. My head says that £32 is too much to pay for a tinted moisturiser but my heart is already leading my head down to the EL counter and waving my debit card in the face of the SA. What are your favourite warm weather foundations? Are you a TM girl? I got a sample from the recent German glamour edition and I really loved it. Then I did some research about the price, well it’s 50 Euros in Germany… since I come to London in April I might consider buying one: 32 Pounds is only 37,50 Euros. Haha! Still expensive but who cares, it would be a bargain compared to our price…! 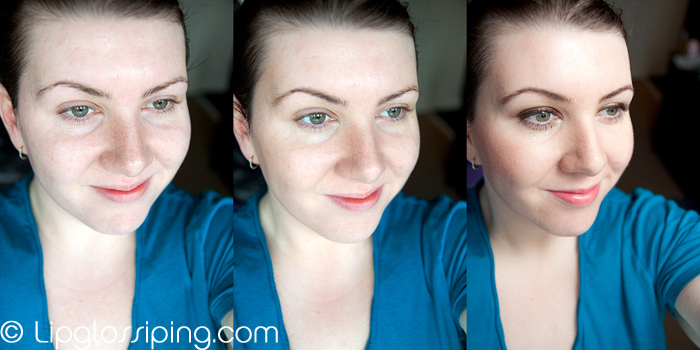 In theory I love tinted moisturisers- but in practise, they just don’t give me enough coverage as my skin is soooo uneven. That said, if I have a bit of a tan, they’re fine. The price isn’t too off-putting, foundation is one area where I’m willing to fork out such a price if it makes me look purrrdy! How does this compare to EL’s Daywear plus? (same colour packaging, different shaped tube), I bought two for 50 pounds at the airport and it seems to be the exact same thing as you described above. Im quite tan so I don’t look drastically different but more airbrushed and fresh, tried it on my paler friend (similar colouring to yours) and she loved it! She used it to blend the colour all the way down her neck to stop the “face mask” look! The difference is a bit too subtle for my taste. I worked for Lauder when this was launched, and as the first “self-adjusting” tinted moisture we’d ever seen, everyone was pretty wowed! My fascination wore off quickly as I realized that this does not, as claimed, work for every skintone. I also think the anti-aging claims are a little stretched- Lauder trains employees that the Daywear line is preventative, not corrective. It’s basically an antioxidant/SPF blend that will help to protect skin from signs of aging, but doesn’t actually have the necessary ingredients to reduce or correct those signs. This was a very interesting post-always nice to have some “insider knowledge”!! b). 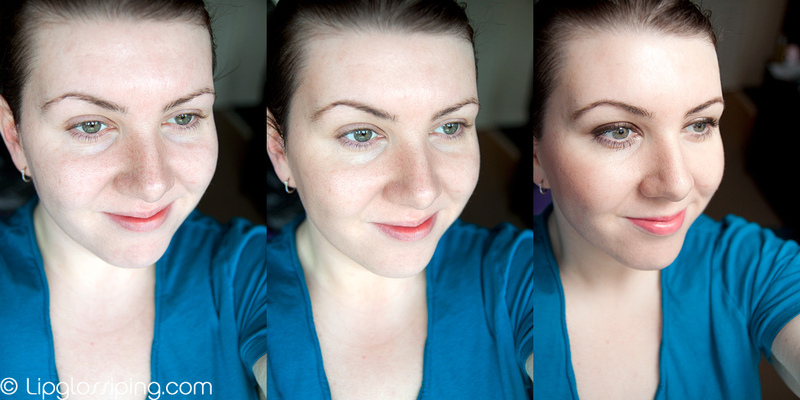 proper makeup (‘cos it feels like makeup and thus too heavy once I’ve increased coverage with minerals). I want it to just go on like moisturiser. I thoguht I’d found my answer in BB creams last year but they’re just a bit heavy for me really. This looks really really nice!!! I can see the subtle changes in your skin tone…would never have thot that a one size fgits all moisturizer would work but it seems to do so! All of these tinted moisturizers are going to be released for the summer. My opinion is save your money and squirt a little of you existing foundation in some moisturizer that you love. If your moisturizer has an SPF even better. Play with the proportions to suit the coverage that you want. If you have to buy something maybe add some of the NARS Copacabana illuminator to your foundation-moisturizer mix that everyone is raving about in the blogs/discussion groups .. or illuminator that you may have.